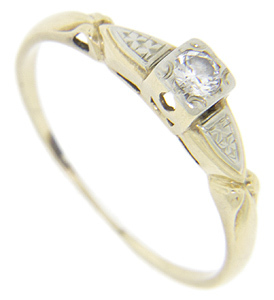 A single faceted round diamond is set in this 14K yellow gold antique engagement ring. Floral designs in white gold adorn the ring’s shoulders. 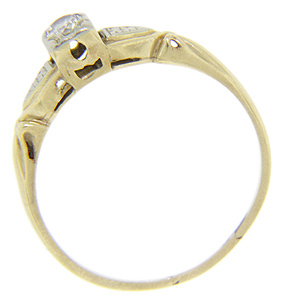 The ring measures 4.2mm in width. Circa: 1930. Size: 8 1/4. We can resize.